The Graduate School comprises four schools; the Graduate School of Fine Arts, the Graduate School of Music, the Graduate School of Film and New Media, and the Graduate School of Global Arts. The university also contains the Music High School and an education and research facility attached to the Faculty of Music. 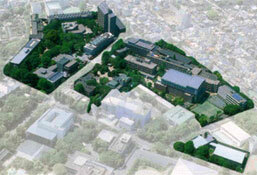 Tokyo University of the Arts is spread across four campuses; Ueno Park in Taito-ku, Toride City in Ibaraki Prefecture, Yokohama City in Kanagawa Prefecture and Senju in Adachi-ku, with the majority of departments and facilities concentrated within Ueno Park. 2-4th year courses in the Department of Inter-Media Art in the Faculty of Fine Arts and a part of the Graduate School of Fine Arts are located at the Toride Campus. 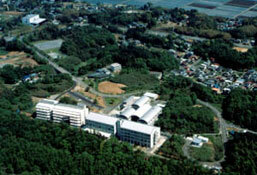 The Graduate School of Film and New Media is situated at the Yokohama Campus, and the Department of Musical Creativity and the Environment in the Faculty of Music, various research fields of the Department of Musicology and Music Studies in the Graduate School of Music, and the Graduate School of Global Arts are at the Senju Campus.